Perhaps it is because so many of us share the same experiences and fears that there are many common dream symbols which we also share. These dream symbols are usually contemporary items that many people report seeing in their dreams. Like all dream symbolism, each can have its own particular meaning in dream analysis, but you will need to evaluate what is currently going on in your life for the exact dream interpretation of the symbolism for you. If your dream is of a sexual tone, the snake may be analysed in the dream as a phallic symbol. Snakes can also be a symbol of transformation, especially if you dream that you are being bitten by the snake, but it is not fatal. 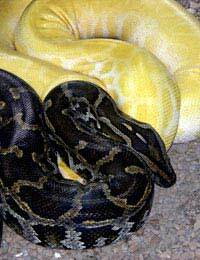 Snakes can be symbolic of the afterlife. If you have had a person close to you die recently or you yourself are worried about death, it is not uncommon to dream of a snake. In dream analysis, guns can be associated with many things that are traditionally seen as masculine including power, aggression, and sexuality. If you dream that someone is threatening you with a gun, look at your life to see if someone has been trying to intimidate or bully you in some way. If you dream that you are the one wielding the gun, it can be symbolic of your desire for power. If you dream that you have a gun, but you cannot find it, you may be struggling to gain or resume power or control over a certain situation. Tornadoes or any type of storm can be symbolic of one of two things: either your emotional state or a force with which you must contend. Do you feel that an emotional storm is brewing in your life? It can be related to work, your home life, or anything else. Or is there someone in your life that is prone to temper tantrums or emotional outbursts that upsets you? Knives can appear in your dream when you feel you have been “cut” by words in real life or when you feel like you have been separated from a person or situation. For example, if you dream you have been cut, you may feel someone has made a cutting remark to you. Clothing, as might be expected, is symbolic of how we think others see us. If you dream you are dressed inappropriately, you may think that you are not prepared for a certain situation, such as a big business meeting. Or wearing a silly costume can mean you feel unprepared for a big event in your life, such as parenthood. If you dream your clothing is too tight, there may be a situation that you feel is constricting you. Usually, when people dream of being in an elevator, something goes wrong. You may press the up button and the elevator either drops or flies through the roof. The elevator can represent your progress in life or a certain situation. For example, if you recently received a promotion, but the new position is putting you under a lot of stress and you worry if you can actually do the job, you may dream of an elevator soaring up at a swift speed. We have so many common items around us each day; it is understandable that eventually, they will turn up in our dreams. Look at the people and situations around you – in all aspects of your life – to determine your dream interpretation and what the symbolism may be trying to tell you. In my dream I looked at my hands and there were big iron nails run through both handpalms. It didn't hurt, wasn't bleeding, I just looked at them realizing in a lucid state that I was awake in my dreams. That realization woke me up, only wanting to fall back asleep asap. When I continued the dream the nails were gone and I was talking to a man. I felt ashamed of my hands as they were scarred and everyone could see I used to have big nails in them. So while talking to this man, I decided to sit on my hands while thinking: "Rome wasn't build in one day", it is ok to take small steps". After waking up from this dream, I felt peaceful the whole day. Really balanced and centerered. I really would love to know what this dream means. My friend had a dream that i was hit by a car but i wasn't knocked down. I was hit in the chest, but i don't know if i was hurt.